As the political, religious and economic heart of the Tibetan world, Lhasa finds its place on the north bank of Lhasa River with an altitude of 3658m (about 12000 feet). 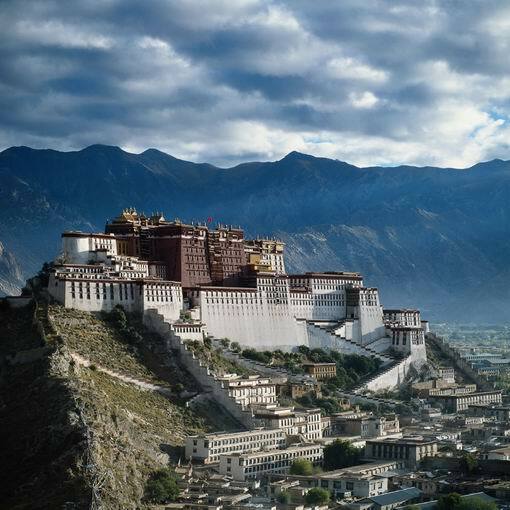 In Tibetan, Lhasa means "The land of the Buddha" or "Holy Place". The city has a long history of 1300 years with a population of 400,000. Blessed with flat land and mild climate, Lhasa is free of frigid winters and unbearably hot summers, having an annual average daily temperature of 8 degree Celsius (43 F). It enjoys 3,000 hours of sunlight annually, much more than all other cities in this regard, hence its popular name "the Sunshine City". Lhasa enjoys an annual precipitation of 230-570 mm. It rains mainly in July, August and September. The fall (autumn) time is the best season of the year, when it rains mostly at night, and is sunny in the daytime. Usually tourists are advised to visit the holy place from March to October. After the reform and opening to the outside world since 1980's, Lhasa has witnessed a dramatic change, becoming a thriving and prosperous town. The tourism is booming here, every year thousands and thousands tourists come to this holy place for sightseeing. The fantastic landscape, unique culture, exotic life and friendly people surely make tourists an unforgettable experience. Traditionally there are 2 ways available for tourists to go to Lhasa: By flight or by car. Obviously the later means is not suitable for tourists as it takes so long time to get to the destination; the former is much faster, while more costly, from the closest city outside Tibet - Chengdu to Lhasa, it costs about US$210 without any discount. But hopefully this situation will change very soon as the government has allowed more airlines running this routes to and from Lhasa since 2006. Another good news for tourists is that since July 1, 2006, tourists can take train to Lhasa from Beijing, Chengdu, Chongqing, Xining and Lanzhou. Your reliable Tibet travel expert! Traveling in Tibet can be as easy as ABC with us!